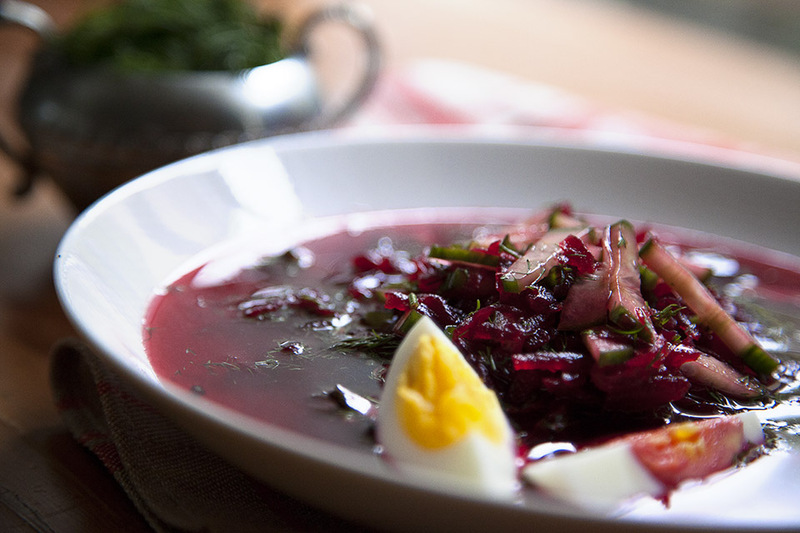 This chilled beet soup takes me back to my Latvian summers. 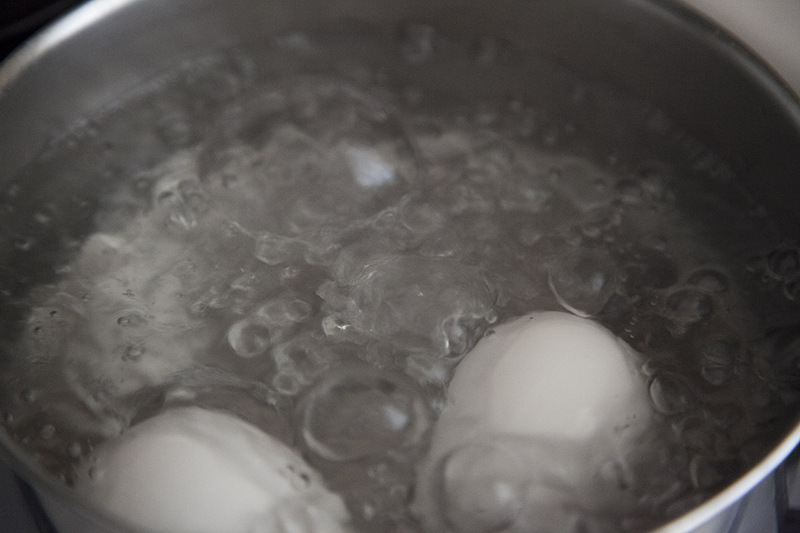 Every family cooks this soup and all restaurants have it in their menu during the summer time. A cold soup on a hot summer day, the sweetness of the beets, crunch of the cucumbers and freshness of herbs: what can be better? 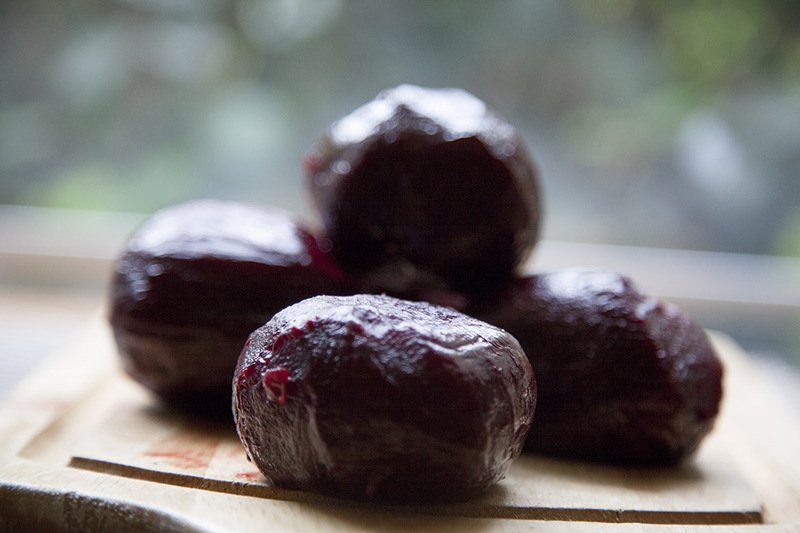 ﻿﻿Roast beets (﻿﻿how to roast beets you can find﻿ ﻿here: http://www.fromgardentosoupbowl.com/oven-roasted-beet.html ﻿﻿﻿﻿﻿)﻿ and let them cool to room temperature. 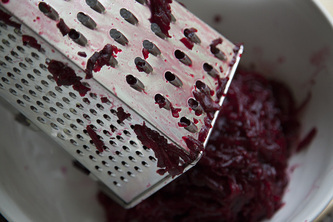 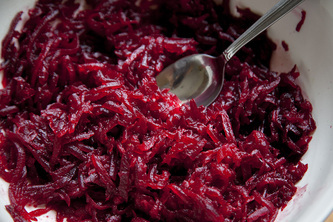 Slide the skins off the beets and grate them on a coarse side of the grater. Transfer the grated beets into a large bowl and add lemon juice, salt and pepper, toss and let the beets to marinade a little bit while you are chopping greens. 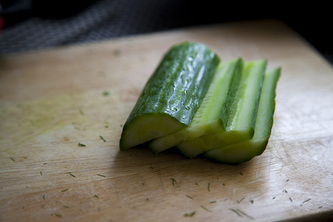 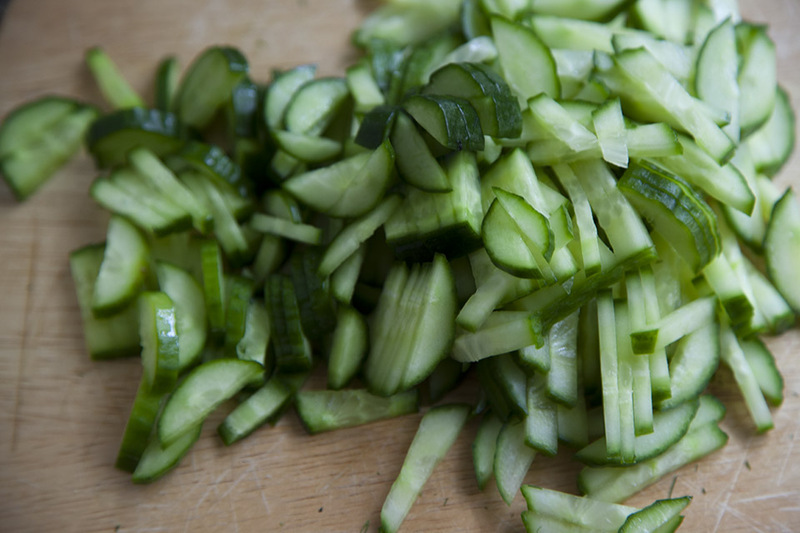 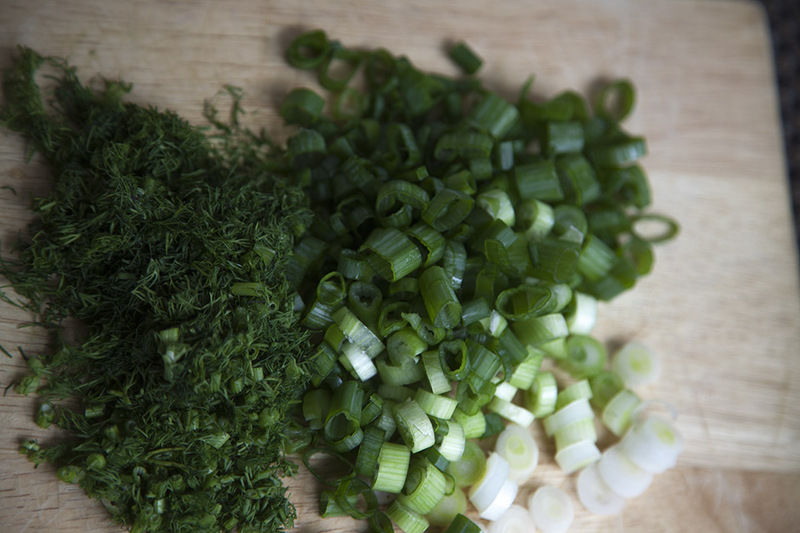 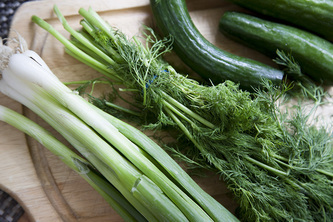 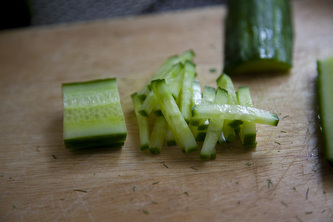 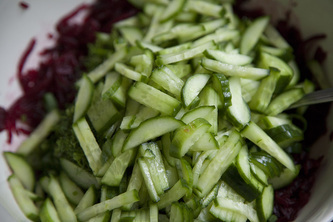 Meanwhile, julienne cucumbers; chop green onion and dill and add them to beets. Add water, salt, sugar and pepper and mix. Cover and chill in refrigerator for at least 1 hour. 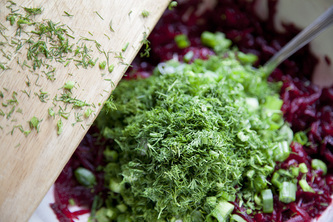 Ladle the soup in a bowl and serve with boiled egg and dollop of sour cream or plain yogurt.